In honor of my beautiful roommate's birthday (TODAY! ), let's relive June 8, 2014, where I described how tough it is to live with her. Let me just tell you. It gets tougher every day ;)p.s. we are going to Dolphin Bay for brunch today, so be ready for some epic, fabulous, windy Snaps. Living with a model is tough. First of all, she's smart and pretty and it's hard to hate her. You want to hate her, but you love her. Like a lot. Like you can't hate her so much you sign two year long leases with her. ANd you stay up with her all night and dream of more photo shoots you can take with her. Okay living with a model is not so tough. Love you Linds and happy birthday! 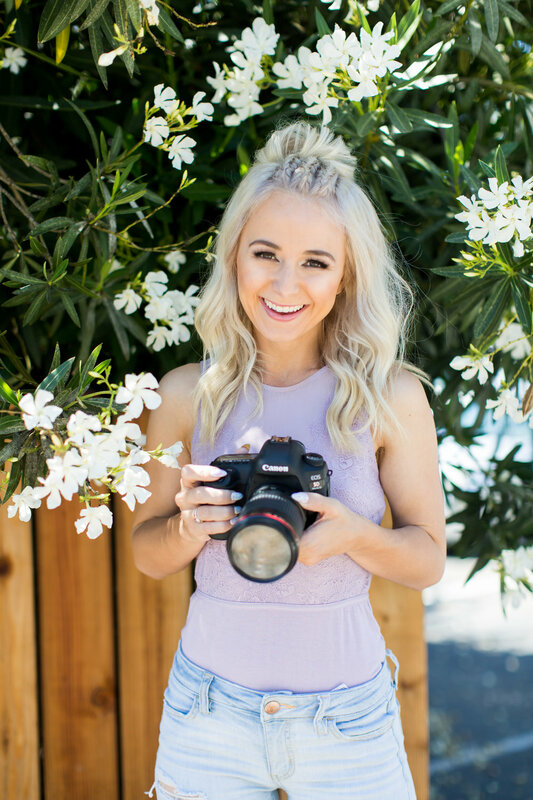 Meet Paige Poppe, creator of Studio Skate. (Totally check it out!) She is an amazing painter, designer, and a Cal Poly architecture student. Turns out she is also deathly photogenic. Get ready for a photo overload. I'm going to let the pictures do all the talking now. P.s. Graduation photo shoots are being booked now! Ahh!! 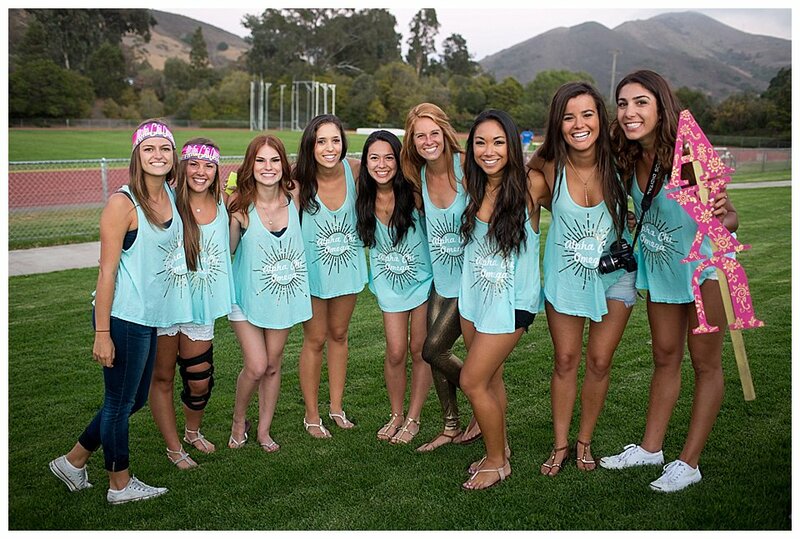 Ladies- to see all the photos (there's a zillion tear-jerking, beautiful ones! ), click here ----> www.asiaviplist.com. Sign up and I will send those over to you for you to have photos to Insta & Facebook profile for life! 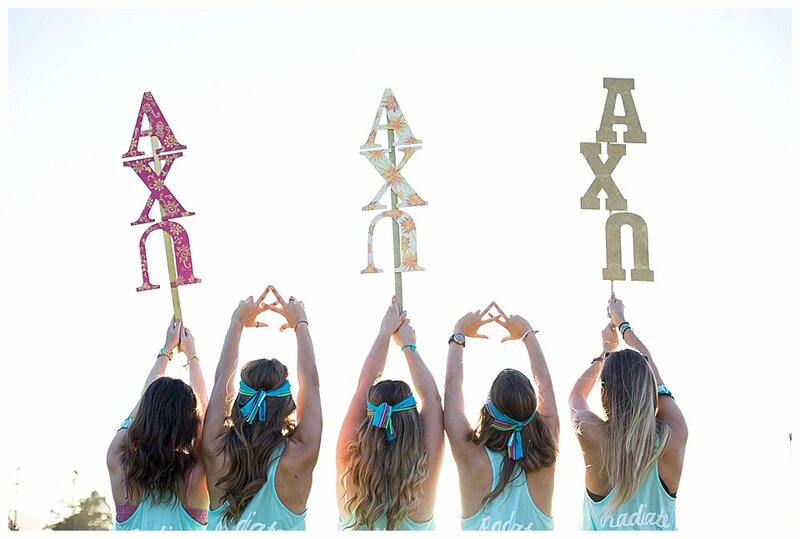 Ain't No Party like an Alpha Chi Party-- ohh, ahhh. 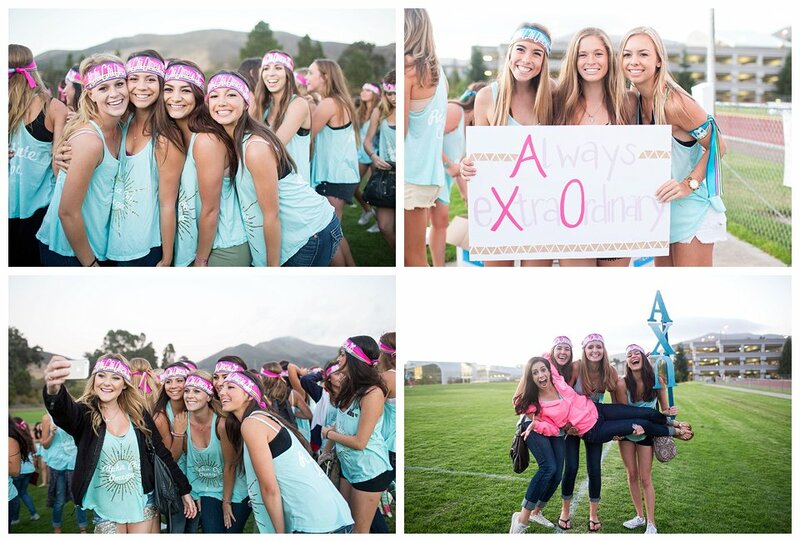 This is my second year photograph Alpha Chi Omega's Bid Night and woahza. I hope I can do it every year. 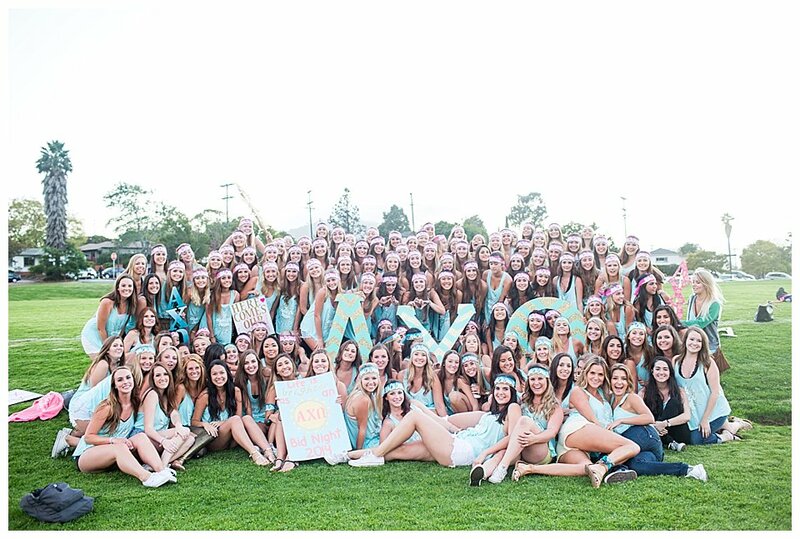 Is Bid Night the most fun night of the year? .. Judging on the tears of joy, the jumping, the screaming, the cute headbands.. I'd think so. There were also cupcakes, so I don't know how you can get any funner than that. Sooo a year ago I photographed the beautiful Emmy (yeah all those fab pics you see, I took! ), who runs a fashion and lifestyle blog titled FromVa2Ca.com .. Recently, I contributed a post to her blog titled "Rockin the #ootd" which gives a few of my personal tips on how to.. rock the #ootd. Definitely go check it out! Without further ado, though, here is an article Emmy wrote on our amazing experience together! 5 things I learned from Asia. If you want unoriginal pictures with forced smiles, Asia is definitely NOT the photographer for you. At my age and income, it’s hard to fork over a decent amount of money for professional pictures. But when you weigh the fact that you’re getting beautifully lighted and composed pictures that will last a lifetime, I figured now would be as good a time as any to take the plunge. I was about to graduate from college - eager and anxious to take on the real world - and wanted to capture this time in my life. I recognized Asia’s talent from her array of Facebook albums, from the lights of Paris to silhouettes of dancers, and I knew she would be the perfect photographer for my senior pictures. She captured an inner light in people, where you can follow their stories through a stream of pictures. 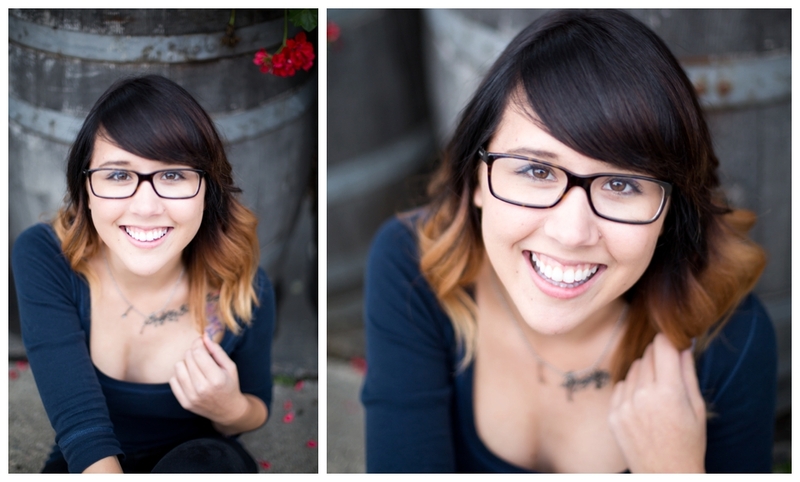 My last professional photo experience was for my high school senior pictures. The photographer was very well-known in the area, and I chose my “spots” from a list of locations, and then brought my plainest clothes (he said solid colors photograph best) for a day of shooting. He told me how to pose, how to smile, and there were many good photos to choose from. And then when my 30 other friends got their pictures taken by the same person, they looked like carbon copies of one another. Same location, same poses, same smiles. They were beautiful, but they weren’t special. When you meet with your photographer, be as clear with your intended results as possible. Bring references of pictures you like, and even pictures you don’t like. Hello, you’re the client! 2. Pick locations that feel like you. -Are you a surfer girl? Grab a board and head to the beach! Love to hike? Go out into the mountains and explore! If you’re not comfortable in your surroundings, it will definitely echo in your pictures. I wanted some variety to represent all sides of my personality – classy, romantic, and fun. So we went with a nature background, a colored background, and a classic white studio. A girl’s gotta have her options! 3. Get your makeup and hair professionally done before if possible. I am a beauty junkie, and I love all make-up and hair products. But I don’t know the first thing about doing my makeup for a photoshoot, and I gladly accepted Asia’s offer for a makeup artist. Asia had a personal reference for both hair and makeup, which was great, because they come to you! It may cost a little extra, but it’s one less thing to stress about, and you feel totally pampered afterwards. 4. Don’t shy away from a colorful wardrobe! Pick something that you wouldn’t necessarily wear in real life. It’s a picture! You can wear a super fussy headpiece that would never stay on normally, but it will stay on for that one picture. And that’s all you need. And it will look fabulous. A little contrast never hurts either – I picked out a watermelon color scheme for one of my outfits, and we placed it against a pale yellow faded wall, and it just worked. I would not be able to pull off a watermelon color scheme for a whole day, but it makes for a striking photo. All things said, don’t get too crazy. A bright red dress might look strange in an outdoor setting, so play up your color palette to compliment the background. Earth tones work best for the outdoors, blues and greens at the beach, and anything goes in the studio. Play up the creativity! The best part of the whole experience is actually taking the pictures! Don’t be afraid to laugh, and with Asia you will laugh…hard and often…because those are the most genuine moments that express your best self. Asia taught me that I didn’t have to pose to get the best picture; I just had to be my silly, goofy self – reacting to the wind blowing my skirt, smiling into the sunshine, or flipping my hair ‘cuz I can. I can’t believe I took these pictures almost a year ago – wow, how time flies! But I still love reliving every moment from this day, and I absolutely love how these pictures turned out. Now you have all of the makings for a great photoshoot, so why not capture this moment in your life and book a session? You’re worth it!